So, I am in the market looking for new shells for my Hermit Crabs. 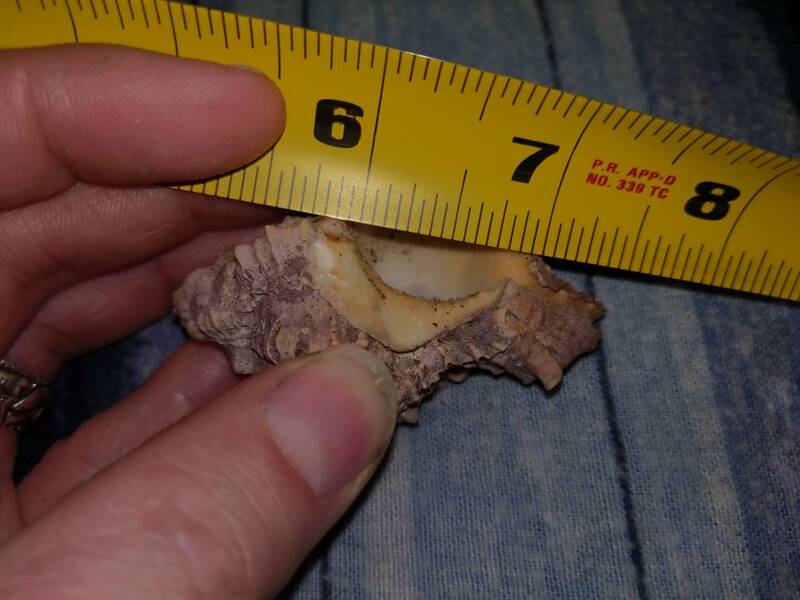 What is the best easiest way you measure shells. I know some people suggest Caliper's which brand do you use if you go that route. I would hate to buy shells that are too big or too small. angelbearpuppy wrote: So, I am in the market looking for new shells for my Hermit Crabs. 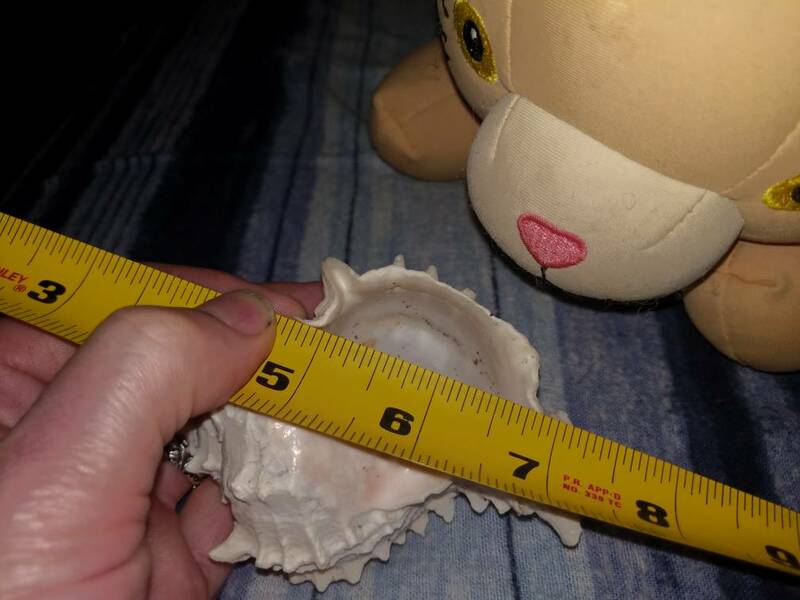 What is the best easiest way you measure shells. I know some people suggest Caliper's which brand do you use if you go that route. I would hate to buy shells that are too big or too small. Any calipers or ruler or tape measure will be fine. 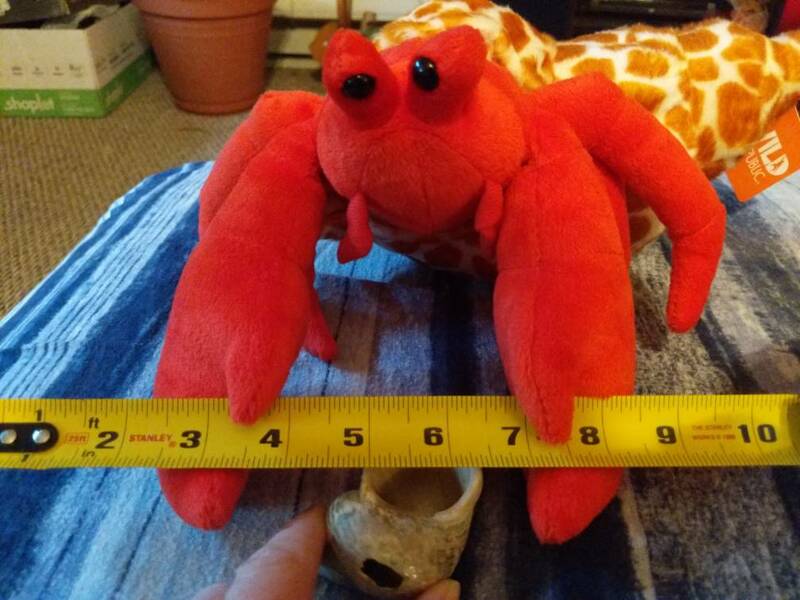 You don’t need any special tools to measure crab shells. You just measure across the width of the shell opening (aperture) from inner edge to inner edge. I just use a tape measure. This is how I pull the measurements, with some help from my friends of course! This is about a 13/16 or 7/8 inch opening. Fleabag is telling me this is a 1-1/2 ot 1-9/16 inch opening. Krusty is making sure I measured the right hole. This one is a 1-1/4 inch opening. I like to give a variety of sizes for shell changes. I will generally order 1/8" to 1/4" opening sizes larger than what they are currently wearing for most shells for 5/8 to 1-1/4. 1-1/2" openings and larger I'll just try 1/4" size increments. I have yet to order anything larger than 1-1/4 yet. With the first shell with the 7/8" opening I would order 1" and 1-1/8" openings. Fleabags 1-1/2" shell I would order 1-3/4" opening. Krustys 1-1/4" shell I'd order a 1-3/8" and 1-1/2". I have a Krusty too! My daughter got it for me for Christmas. Im looking for a good place to buy shells from?